Are you paying more for phone service then you’d like to be? See if one of these seven strategies could help to lower your bill. VoIP, or Voice over Internet Protocol, allows you to make and receive calls over your internet connection. Providers include Vonage, Ooma, 1-VoIP and a host of others, including many phone and cable companies. Cost: Nothing, if you go with Ooma. Just pay $99.99 for the phone system, and after that, you won't have any monthly costs, other than the government-mandated taxes. Have cable, high-speed Internet and a landline or cellphone? If so, bundling all of your services with one provider could be your biggest source of savings. Potential savings: $20 or more a month. Use your cell phone for all of your calls, and cancel your traditional phone service. 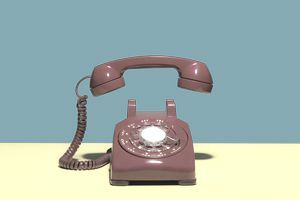 Potential savings: The cost of your current landline plan. If your phone service comes packaged with a bunch of features – call waiting, caller ID, etc. – you may save money by unbundling your services and shopping a la carte. Contact your service provider to find out how much a basic, no-frills phone line costs. Then, add on just the features that you need (generally about $5 each). Potential savings: Varies, but a basic phone line usually runs around $40 a month (taxes and fees included). Not satisfied with the deal your current provider is giving you? Then, shop around for a better rate. When it comes to phone service, there are more options than ever. Potential savings: Varies by customer and locale. Do you make a lot of long distance calls? If so, signing up for an unlimited long distance plan could make a lot of sense. Potential savings: Varies by person. To estimate your savings, subtract the monthly cost for unlimited calling from your current monthly long distance bill. Another option: drop long distance service, and use your cellphone to make all of your long distance calls. If you only make occasional long distance calls, a phone card may be cheaper than paying for traditional long distance service. Potential savings: The cost of long distance service in your area.